FacebookI don’t know what you’ve got planned this weekend – me, I’m going to go buy a curtain rod – but if you think you’ll require a ray of musical sunshine to brighten up the proceedings or, conversely, need a soundtrack to an itinerary full up to the gills with fun, you could do far worse than to fire up the advance stream of Shugo Tokumaru’s new record In Focus?, available to stream now at Under The Radar. It’s the Japanese composer and multi-instrumentalist’s fifth album, and like its predecessors its overflowing with creative instrumentation, chock full of mesmerizingly intricate pop compositions, and imbued with a childlike whimsy designed to beguile and delight. Its melodicism transcends any language barrier, and really – do you know how to say, “la la la” in Japanese? It’s “la la la”. 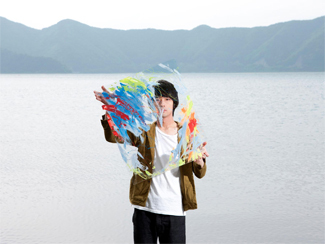 Stream: Shugo Tokumaru / In Focus? Nick Cave & The Bad Seeds have made a second track from their forthcoming Push The Sky Away available to preview by way of a lyric video. The album is out February 19 and they play Massey Hall on March 23. Aquarium Drunkard has posted a session with Melody’s Echo Chamber that you can download for your listening pleasure, perhaps while you read this interview with Melody Prochet at Tonedeaf. The 405 reports that Phoenix are getting ready to release the follow-up to 2009’s absurdly successful Wolfgang Amadeus Phoenix, and the record will be called Bankrupt!. Which the band hopefully are not. Pitchfork checks in with Denmark’s Iceage about their forthcoming album You’re Nothing, due out February 19. 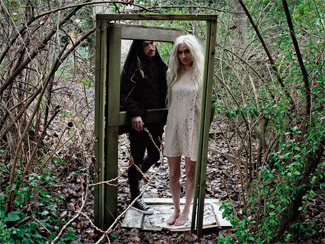 Under The Radar talks to Maria Lindén of I Break Horses about the highs and lows of her 2012, the latter of which included having to cancel their Fall North American tour due to lack of funds. On the plus side, they’re recording a new record this year and will hopefully be making up those aborted dates with new material to play. The Deer Tracks are ready to mark the February 12 release of The Archer Trilogy Pt. 3 properly – which is to say with a North American tour that includes a February 28 date at The Silver Dollar. 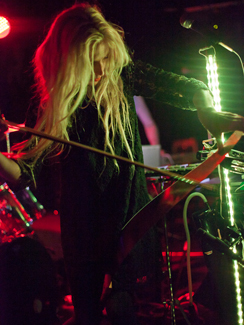 They were incredible at NXNE 2012 so you can be sure expectations are high for this show. They’ve also released the first video from the new album, premiering it along with the full routing of their Spring trek at All Things Go. Do catch them if it’s at all possible, and if you happen to make it over to their hometown of Gävle, Sweden, use this handy guide of bands to see they provided to CMJ. CBC Music talked to Gustaf Karlöf of Niki & The Dove ahead of their Canadian shows earlier this week. 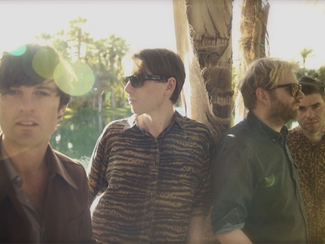 The Line Of Best Fit has premiered the second video from the new Shout Out Louds album Optica, in stores February 26. They’re in town at The Opera House on May 14. Junip have streamed the first track from their new self-titled album, due out April 23. 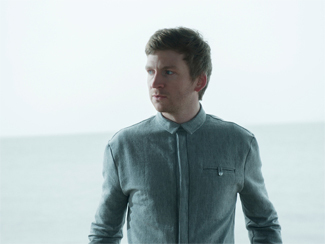 Ólafur Arnalds has premiered a sample from his next album For Now I Am Winter over at Drowned In Sound. The album is out February 25.